I love apple pie. And I love pancakes. One morning, not too long ago, I woke-up with the idea that these two wonderful items should be joined in matrimony. It took me a few times to perfect the recipe, tweak the elements, but the result was well worth the magnificent result. Apple. Freakin’. Pie. Pancakes. Yes. Apple Pie Pancakes. You got that right, apples, cinnamon, butter, and syrup. Put it in my mouth and let it melt me into a new dimension of awesome. Mix flour, sugar and cinnamon together in a small bowl. Stir apple topping mixture together in a small bowl until all pieces of apple are covered. Using a piece of foil, build a small pouch and place the apple mixture inside. Place pouch on a baking sheet in the oven and bake for 15 minutes or until you’re done making the pancakes. No sense in taking the apple topping out of the oven and letting it get cold before you can put it on a delicious pancake. 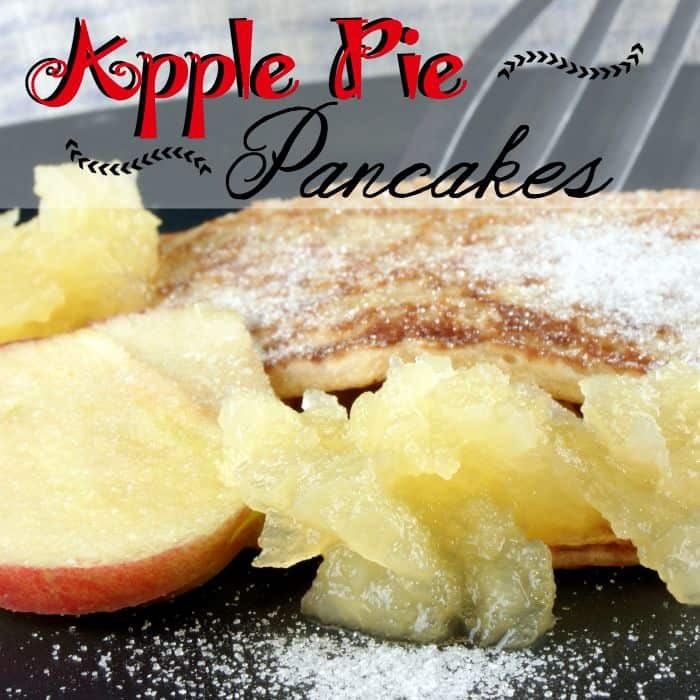 While the apple topping mixture is baking, cook the pancakes. Start by mixing apple sauce, Bisquick and water/milk together until smooth. Add vanilla and cinnamon until completely blended. Heat griddle on medium until water dances on the surface when sprinkled. Turn heat down to medium-low before cooking pancakes. Spoon pancake mixture onto the griddle in 1/2 to 3/4 ladle-sized portions (no more than 4 to a griddle unless you’re looking for a mess or have one of those awesome huge griddles that can handle 6 easily). When edges become dry-ish, flip pancakes gently. When underside is equally golden brown, remove from heat and ladle some more on the griddle! Keep going until the entire pancake mixture is cooked and done. Remove pouch of apple topping from oven. 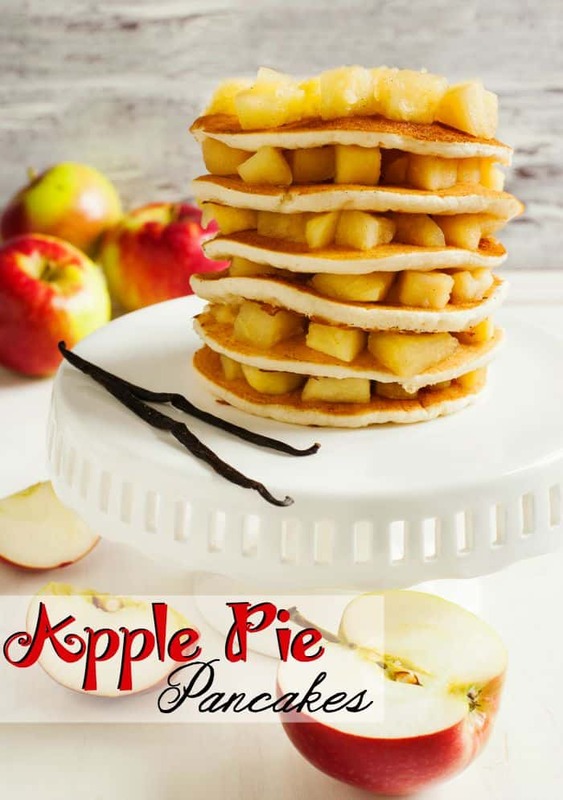 Layer pancakes and apple topping at the table while everything is warm. Add syrup and butter to taste. Apple. Freakin'. Pie. Pancakes. Yes. 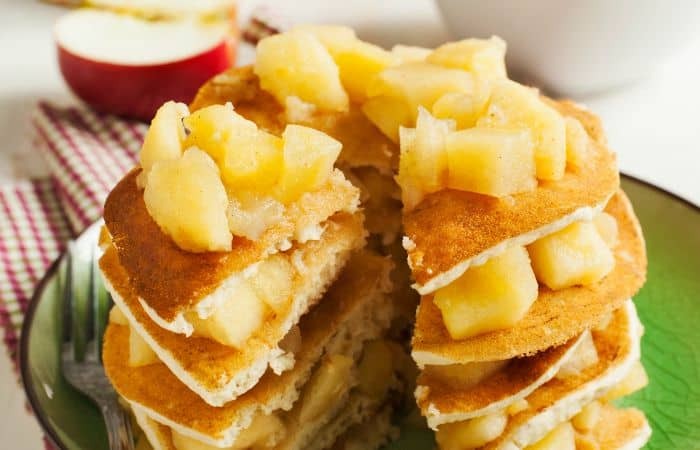 Apple Pie Pancakes. You got that right, apples, cinnamon, butter, and syrup. Put it in my mouth and let it melt me into a new dimension of awesome. 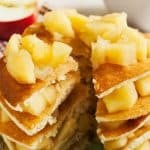 Layer pancakes and apple topping at the table. Add syrup and butter to taste.